Do you like chemistry and biology? Or maybe you would like to develop your skills in these fields of knowledge? That product is perfect for you! 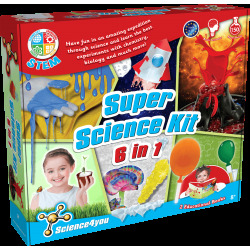 Learn the best experiments with the Super Science Kit 6 in 1! 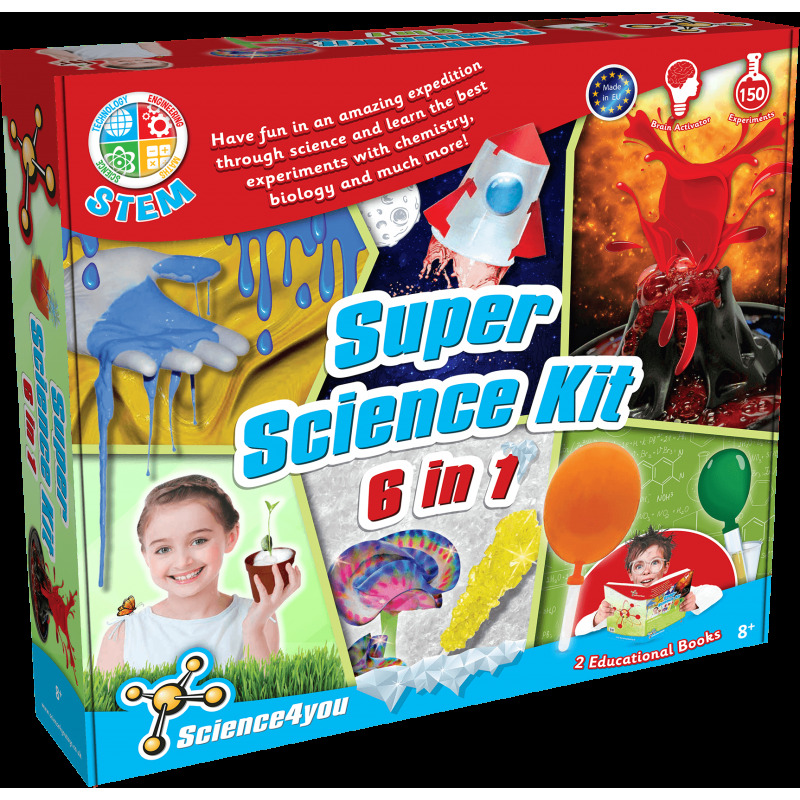 Discover how to launch a chemical rocket, how to create a crazy slime and fun tornado. 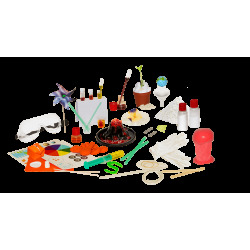 Find out more on our online toy sale! How to separate mixtures and make bombastic chemical explosions. How to simulate a volcanic eruption and the formations of Earth's atmosphere. How to create a Newton's disc and simulate cartoons. How to build a galaxy and enter a fun spatial trip. 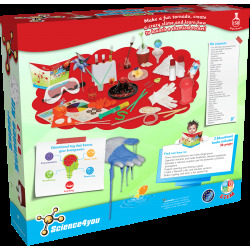 This toy also includes up to 150 experiments for kids as well as 2 educational books with 36 pages each.